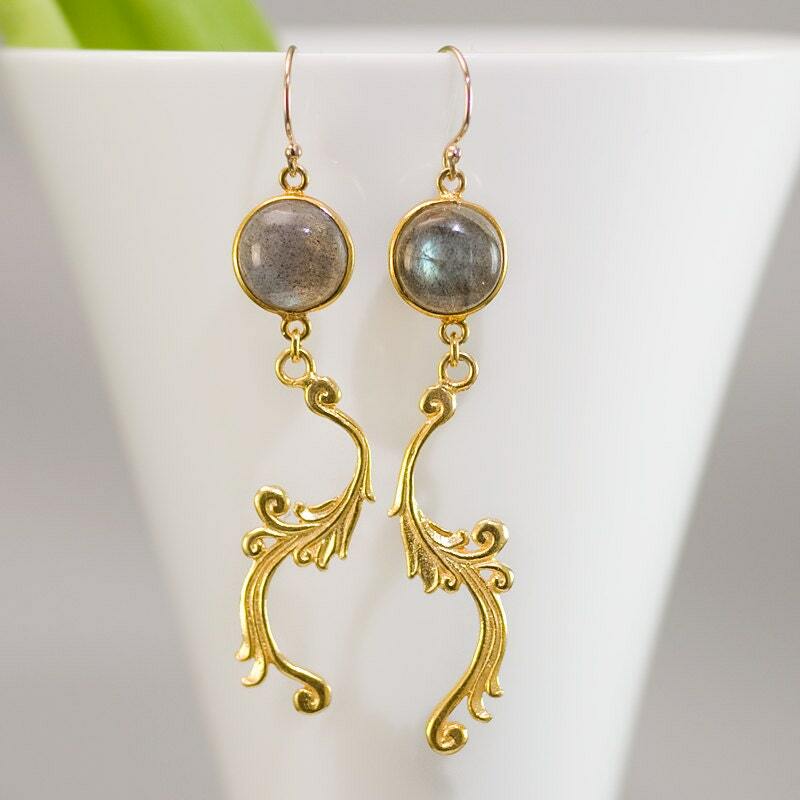 A pair of stunning faceted bezel Labradorite stones with 22k gold vermeil Swirls. All other material is 14k gold filled. The earrings are about 3 inches long from top to bottom. 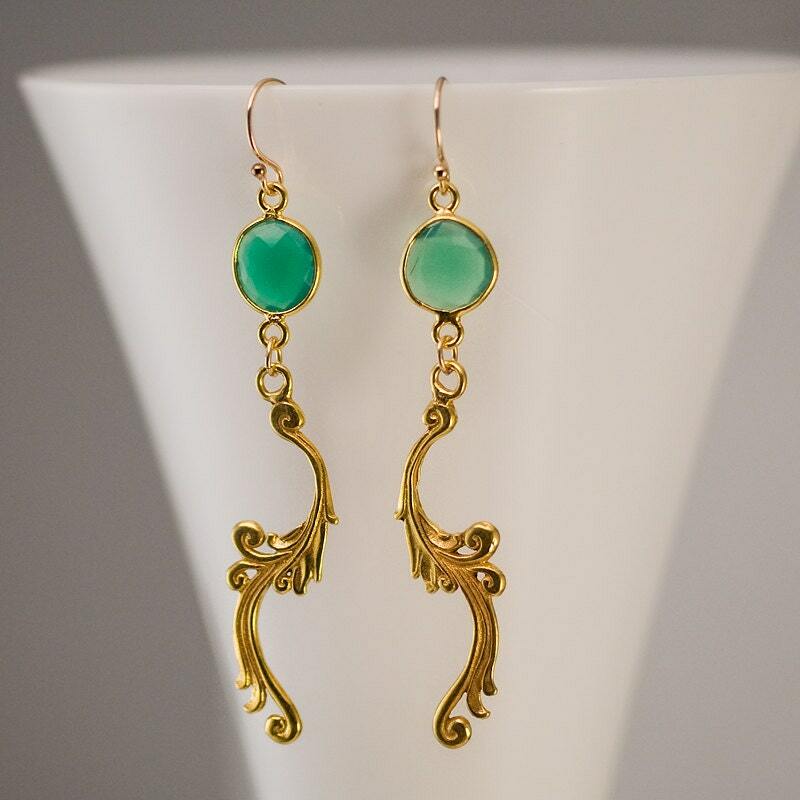 Available in Green Onyx, Turquoise and Carnelian. Please send me a message if you would prefer another stone! 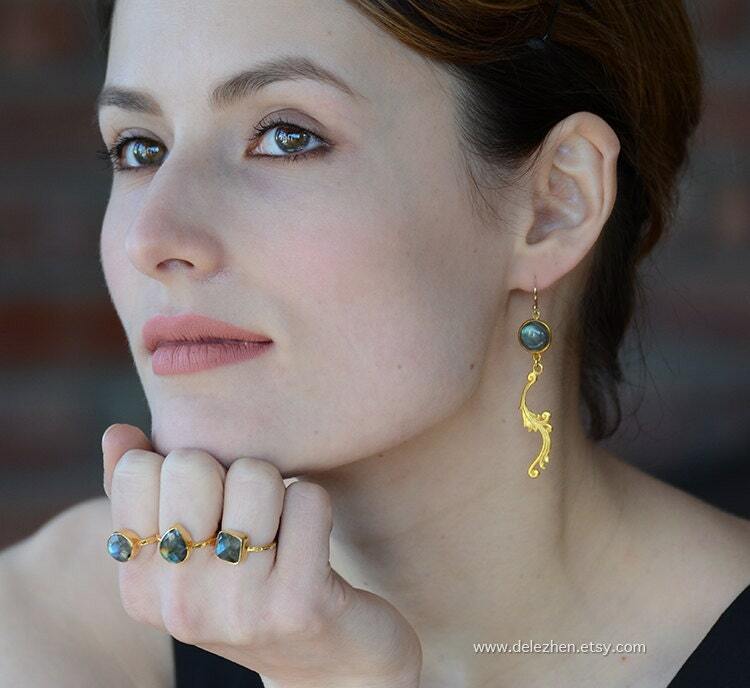 Beautiful quality stones and exactly as pictured on the website. Shipped very fast. I'm a happy customer. 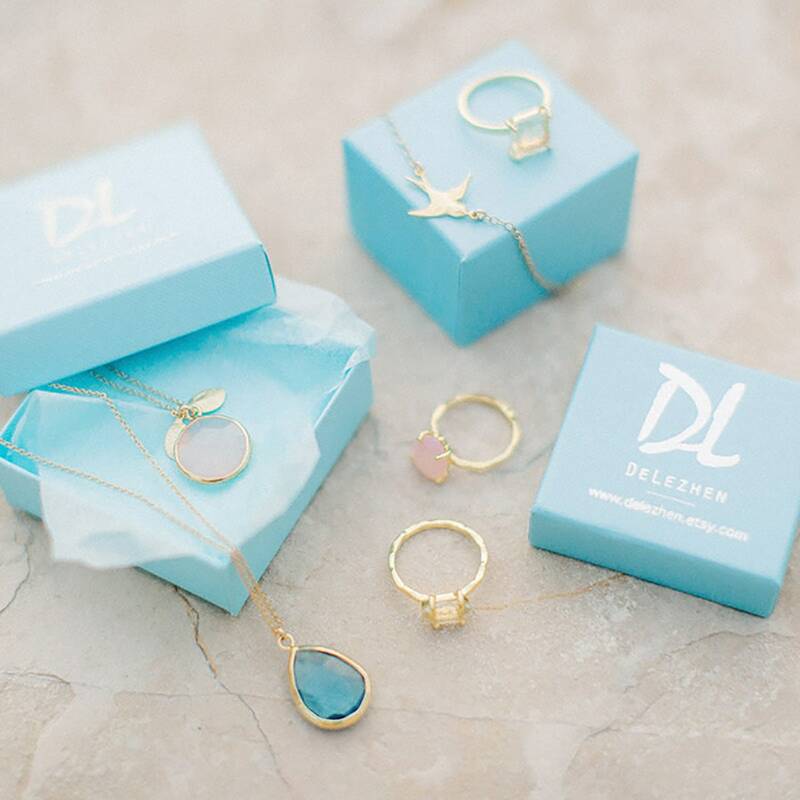 My Mom is my Secret Santa this year and I can't wait until she opens her jewelry gift set! I wasn't expecting them to be so pretty! They were a gift and the she really loved them! Very very proud of the detail on them too! My wife loved these. Great style and better quality than I normally see on etsy for this price. Gorgeous earrings - got lots of compliments when I wore them to a friend's wedding!